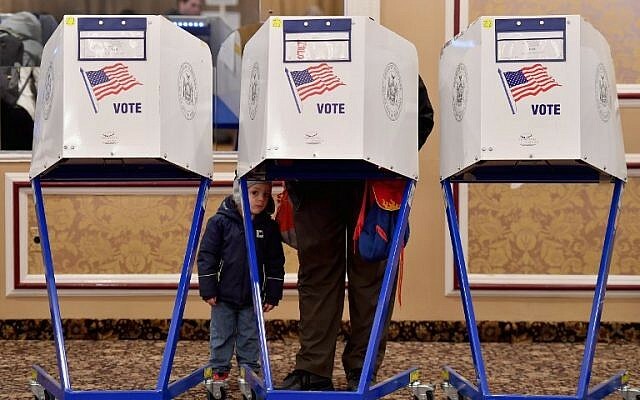 Foreign meddling and hacking attempts had “no material impact” on the U.S. midterm congressional elections last year, according to a high-level review by the Justice and Homeland Security Departments Tuesday. The U.S. government intensified its scrutiny of the vote after concluding that the Russian government ran a concerted operation during the 2016 presidential campaign to hack into political party computers and voting systems and to influence voters via social media disinformation. U.S. intelligence has concluded that, while voting systems were not significantly impacted during 2016, the social media campaign and the hacking of Democratic Party computers bolstered the campaign of Republican candidate Donald Trump. U.S. security officials have said that they foresee a potent interference threat from foreign governments, including Russia, China, and Iran, in the 2020 presidential election. In August, Russia called U.S. election meddling claims “hysteria” that “makes a mockery” of America after Washington accused Moscow of a continued campaign to influence its public opinion. “The two-year hysteria over some kind of Russian interference in elections — which never happened — does not only damage bilateral relations but makes a mockery of the whole political system in the U.S.,” Foreign Ministry spokeswoman Maria Zakharova told journalists.